Well, while October seemed to drag on forever, November passed by in a flash! Photos photos photos, let's roll. 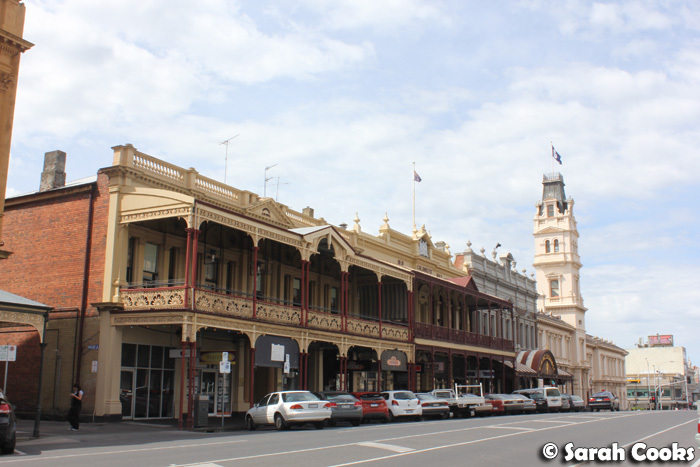 We spent a fun weekend away in Ballarat, (invited by Ballarat Regional Tourism), exploring cafes, restaurants and markets, and even catching our own fish! Blogposts to come. 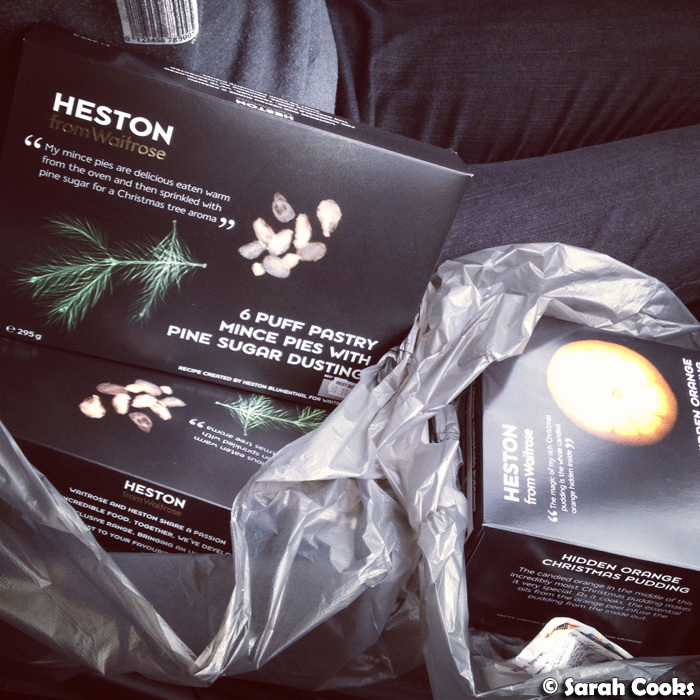 I got a little obsessed with the Heston Blumenthal Christmas range - I saw them in a Coles catalogue one weekend, thought "WOAH! ", and drove around a zillion different Coles trying to find them. (They weren't available in all the supermarkets at the start of November, but they do seem to be stocked in more and more Coles supermarkets now as Christmas is approaching). 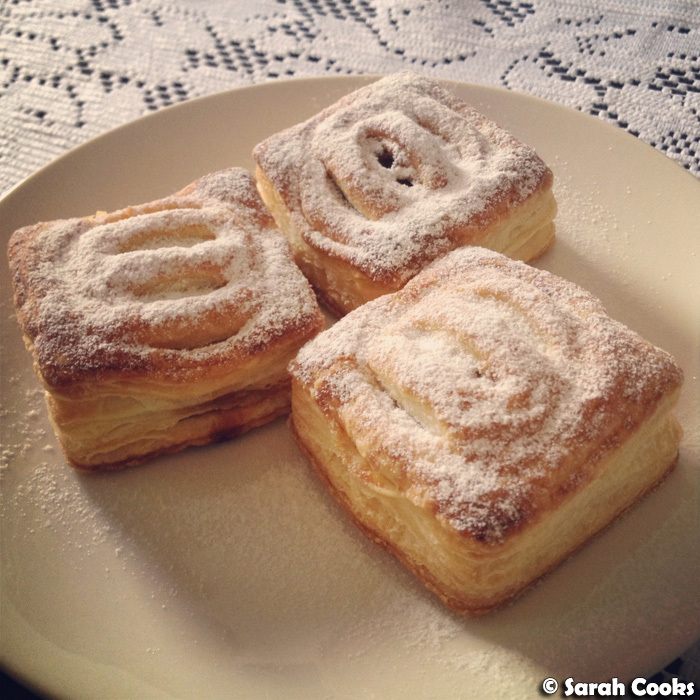 I really liked the mince pies - buttery puff pastry, filled with rich fruit mince and dusted with pine sugar. 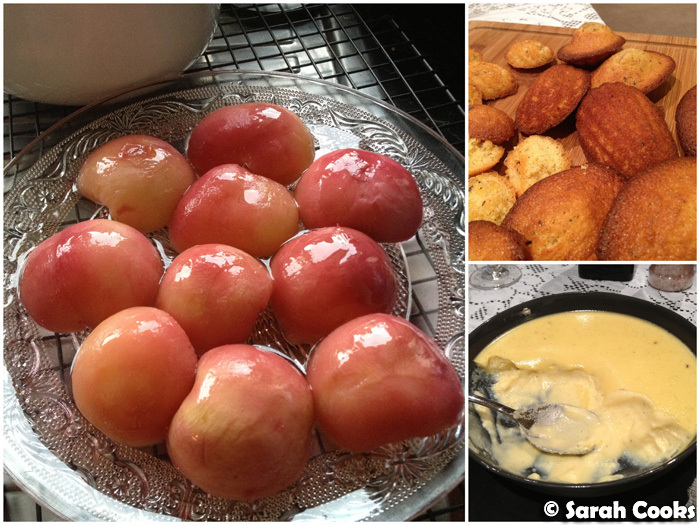 (Don't forget to sprinkle over the pine sugar - there's a little sachet in the box!) I normally eat mince pies with a shortbready / shorcrusty pastry, so was surprised by how much I liked these. So far I've only tried the mince pies, but am looking forward to trying the puddings soon. After I tweeted these, loads of my Twitter buddies went searching for them too - if you've tried them, what did you think? 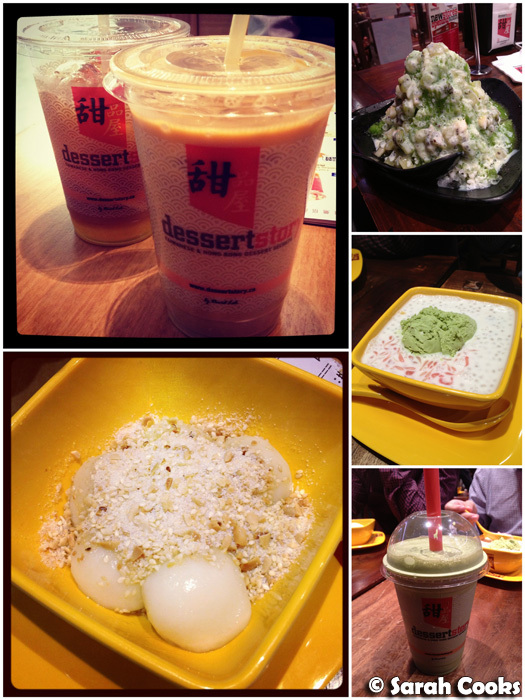 We checked out Dessert Story a bunch of times: the Box Hill one, the Doncaster Shoppingtown one, the one on Swanston street. Miss: the shaved ice kiwi dessert. (Top right in the above photo). Not only was it uber-sweet, but it was also way too big to be eaten before it melted, messy and dripping off the side of the shallow plate and onto the table. And not only that, the next day we felt sick - not in the "oh I ate too much junk food last night" kind of way, but in the "serious nausea and stomach pain" kind of way. Avoid, avoid!! 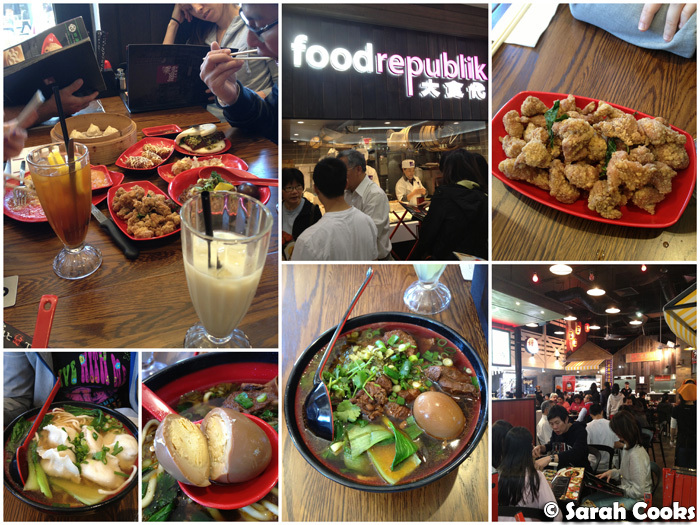 We also checked out Food Republik, in Box Hill Central - a kind of mini food court within a food court, primarily serving Taiwanese favourites like pop chicken, dumplings, five-spice beef brisket soup and more! (They've also got a Toast Box and a Dessert Story in there!) They seem to be constantly busy, with lines all the time. There's an almost overwhelming choice on their menu - definitely need repeat visits to try a good range of items! I think visiting Food Republik is mainly about the fun atmosphere and the big choice - you could definitely find better versions of those dishes elsewhere (e.g. the broth in our noodle-soups were quite bland), but not all together in such a nice environment! We enjoyed a lovely lunch at the newly relaunched Isabella's restaurant, at Rochford Winery in the Yarra Valley. (Disclosure: this was a complimentary media lunch). 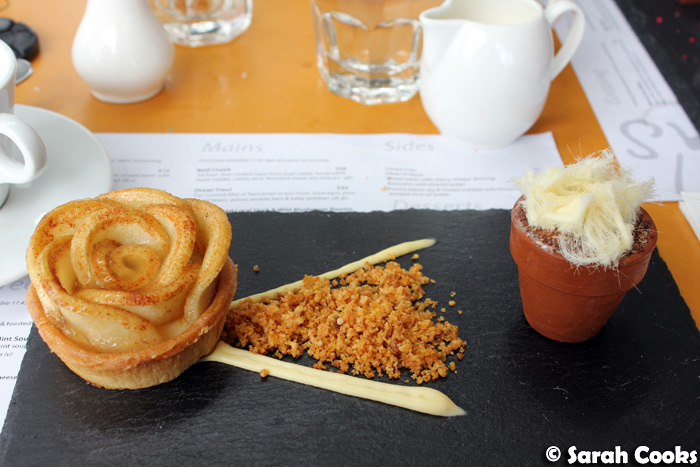 Blogpost to come, but for now I wanted to share with you one of the highlights: the French Apple Custard Rose, with caramelized crumbs, Iranian fairy floss and tonka bean ice-cream. Beautiful! 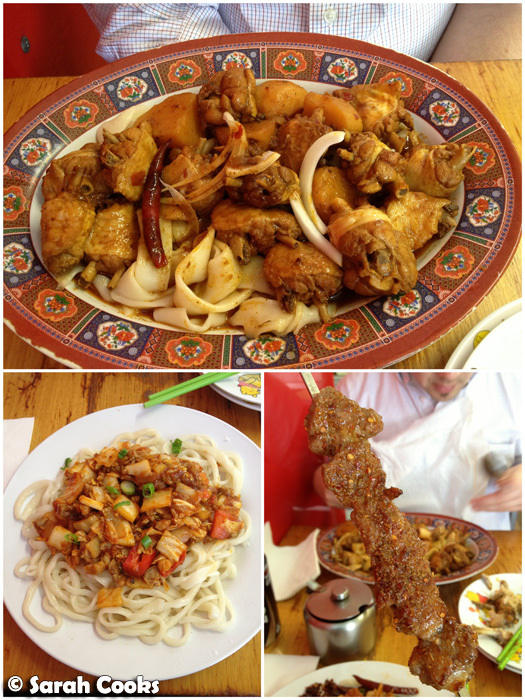 I tried out Aiyiguli 323 Fast Food, a Xinjiang Restaurant (323 Swanston Street, Melbourne 3000), for a cheap and tasty lunch. I liked the spicy noodles (bottom left in the below picture), but I totally loved the lamb skewer - hot spicy, charred lamb goodness! 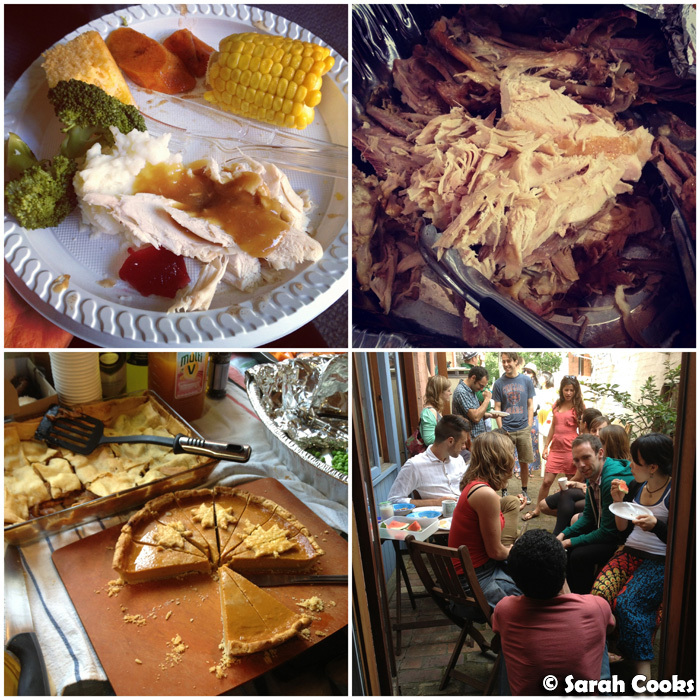 I had my first Thanksgiving lunch at my friend Alaina's place - there was So Much Food! Turkey, cornbread, maple-syrup sweet potatoes, mashed potato, gravy and pumpkin pie! I'd never had pumpkin pie before - turns out I love it! 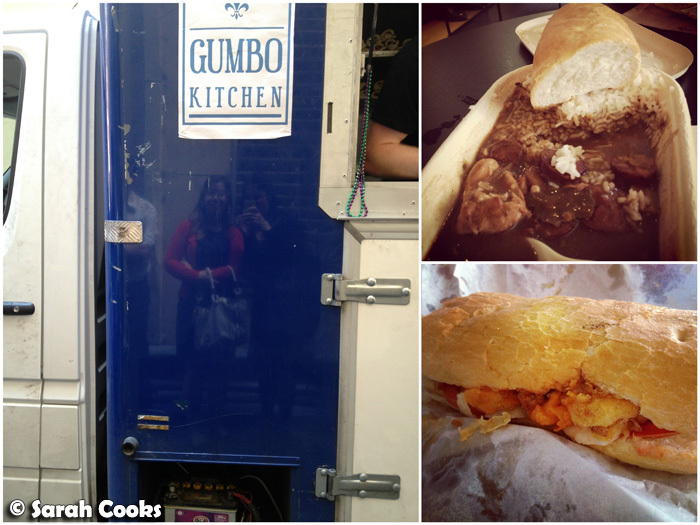 I visited the Gumbo Kitchen Truck with my cousin when it was in the CBD - I thought the chicken and spicy sausage gumbo was very good, but the Shrimp Po'Boy was just a bit "meh". If it happens to be in the area I might give it another go, but I wouldn't go searching for it. I've been having a lot of Cacao Green frozen yogurt this month - expensive but delicious. 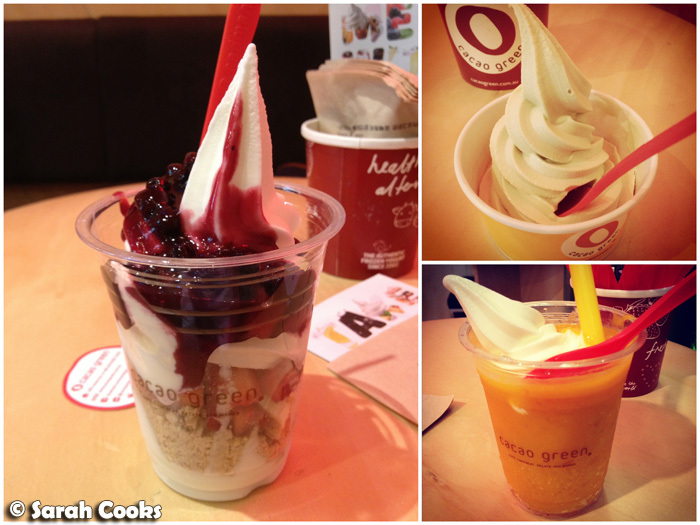 I love the green tea froyo, and the mango juice topped with vanilla froyo cooled me down on that 38C day we had last week. Earlier this month I tweeted that I thought it was pretty tight of them not to allow you to substitute green tea froyo in their parfaits (even thought I offered to pay extra! ), and they listened to the feedback and tweeted me back saying they now allow you to choose your froyo flavours in the parfait. Wooo! Go crazy, people! November - over and out! December is going to be busy too - I started my Christmas baking and decorating already. Can't wait for Christmas. Yay! 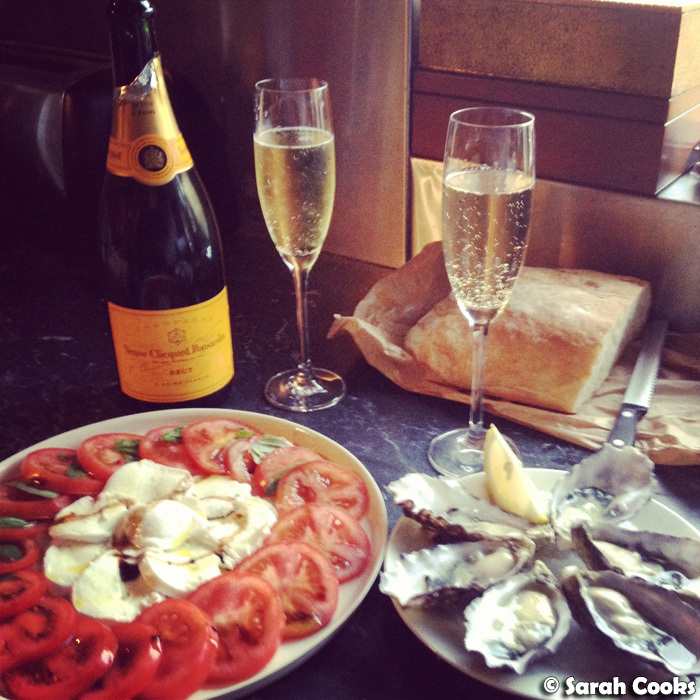 What do you have planned for the holidays? I would love to attach a food truck but it's never near me!